You are here: EMES - International Research Network | News & Stories | When the employment landscape is rapidly changing, what is the contribution of social enterprises? When the employment landscape is rapidly changing, what is the contribution of social enterprises? This week, Giulia Galera senior researcher at Euricse and Rocío Nogales, EMES director, participated in the “TAIEX Regional Seminar on Social Economy & Social Enterprise Policy” which gathered representatives from national governments from 12 Southern Neighbourhood countries interested learning about how to support a conducive environment for social economy and social enterprises in their countries. In an employment context of disappearing wages and job stability and increased digitization and automatization, social enterprises bring unique added value into this disheartening picture, included unexploited market and service areas, new untapped resources, matched information for all stakeholders involved, integration of “hard to place” workers, and readiness to deliver goods and services with limited monetary return to investment. 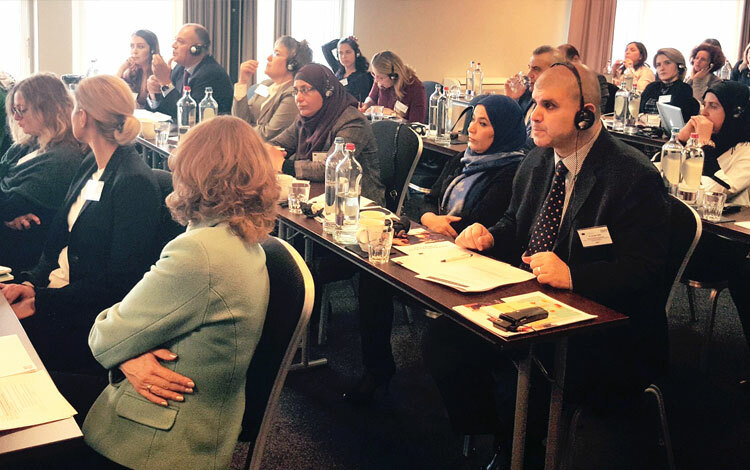 These were some of the main lessons shared by the above mentioned EMES representatives with an audience of people stemming from an impressive list of countries such as Albania, Algeria, Bosnia & Herzegovina, Egypt, Israel, Lebanon, Libya, Montenegro, Morocco, Palestine, Tunisia and Turkey. TAIEX is an instrument of the European Commission’s Directorate General for Neighbourhood and Enlargement Negotiations providing short-term technical assistance to partner countries to help them with the approximation, application and enforcement of EU legislation. The Directorate-General for Employment, Social Affairs and Inclusion of the European Commission and the Union for the Mediterranean (UfM) where the co-organizers of this particular seminar focused on social economy and social enterprises. Indeed, this seminar constitutes an additional step in the commitment that governments from Southern Neighbourhood countries have expressed to address the serious challenge of unemployment, particularly youth unemployment. During the 2016 UfM Ministerial Conference on Employment and Labour in Jordan, some policy orientations aiming at reforms were put forward with regard to the region structural labour market issues such as the lowest employment rate in the world, and an exceptionally low rate of female and youth employment. In March 2017, the UfM High-Level Working Group on Employment and Labour, which monitors developments on these subjects, requested an opportunity to learn about the concepts and contents of “Social Economy and Social Enterprise Policy” as an opportunity for growth and jobs. The event represented a unique occasion to share the work of EMES, particularly in areas related to social enterprise eco-systems and to the contribution of social enterprises to the employment market. 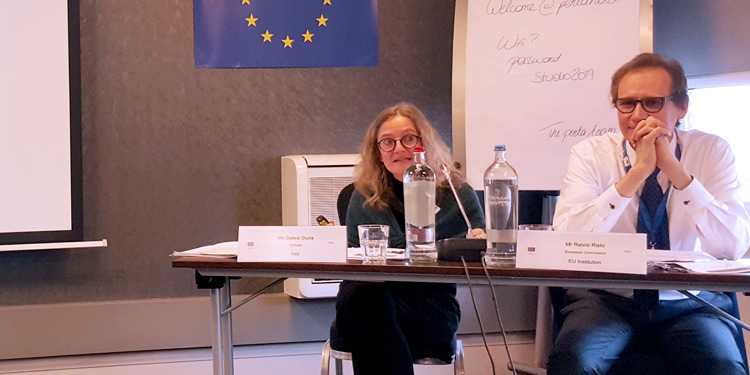 Giulia Galera – who is also a member of the EMES Board of directors – provided some conceptual clarification on the definition of social enterprise and related concepts (social economy, third sector, social entrepreneurship and social entrepreneur). Rocío Nogales’ presentation focused on describing recent evolutions and mutations of the labour market and how they impact the quality of jobs. She focused on personal and general interest services but also on new areas of activity such as energy, food, culture, etc. They were presented by Risto Raivio, Senior Policy Officer in Job Creation at DG Employment. There was also an opportunity to exchange during the plenary discussions with many of the participants. Although the majority of these countries face contexts radically different from EU countries there are always possibilities for mutual learning and creating new contacts. 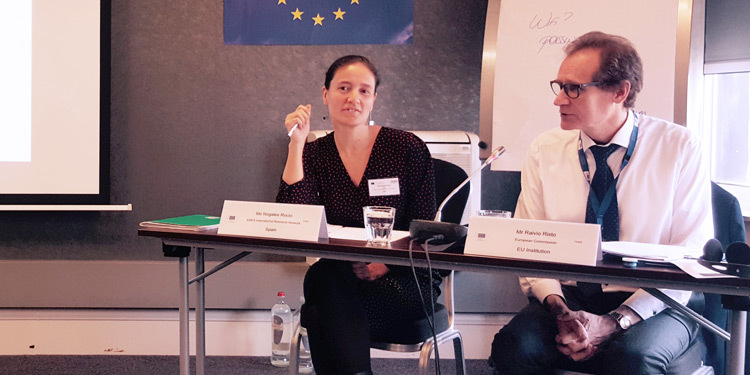 Moreover, it was a very timely event given the fact that EMES and Euricse are currently leading the second fully-fledged social enterprise mapping study in Europe, after participating in previous pilot study. Moreover, they also conducted the first mapping in the CEE and CIS countries back in 2005 and EMES conducts since 2013 the ICSEM project at an international level. To learn more about these projects, you can click on their titles. Stay informed about news about these initiatives by signing up to the EMES news alert.